When I was a slightly larger (probably rather difficult) teenager, I used to also visit regularly, to get away from my (at the time) incredibly annoying family usually, and to spend time with the only people who “understood” – my fellow (probably also rather difficult!) friends… I loved it then, and I still love it now. It was so nice to finally take my own children there whilst back at home, something I have wanted to do for a very long time. I got slightly carried away with the picture taking, but I won’t bore you with all of them, promise! When people ask where they should visit in the UK, I always tell them to go to Avebury over Stonehenge. But then I only tell those that I actually like, as it should be a bit of a secret I think. This secrecy is on the decline however, as the National Trust are now Guardians of the place, and a bit of sneaky commercialism has crept in (£5 to park your car!! ), but the very spiritual atmosphere to the place will never change. The stones are spread out over a huge area, and if you look hard enough there are stones in the outlying fields surrounding the main site. The small triangular shaped posts are markers for the stones sadly destroyed for use in farm buildings etc. hundreds of years ago. 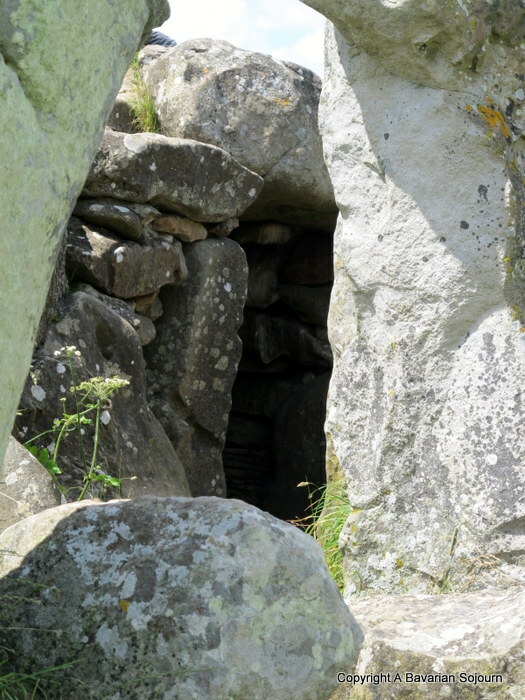 The nice thing about this place is that you can still get close to the stones, respectfully of course. But I am sure they weren’t adverse to a bit of hugging from the small people. And neither were the trees…. This small gathering of beech trees perched on top of a hill, are often overlooked by visitors, which is a bit of a pity. 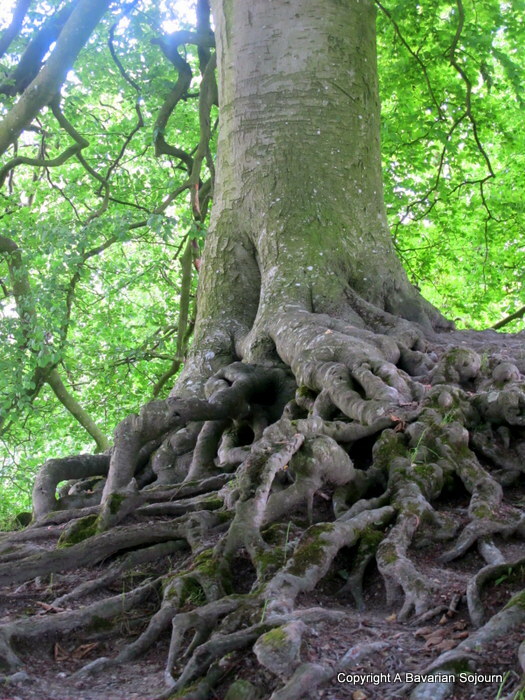 The network of roots below that give the trees a firm footing are just beautiful, and the Small People were totally captivated by them, and declared them to be “Fairy Trees”. And then on, past the most striking landscape and more and more ancient and noble stones – most of them thousands of years old. A bit of advice, don’t be too disappointed if you don’t make it into the “Museum”. I am sure that it might actually cost less to buy a local history book in the nearby shop, and sit and read it while enjoying a cream tea in the Tea Rooms. You may even gain more knowledge that way! 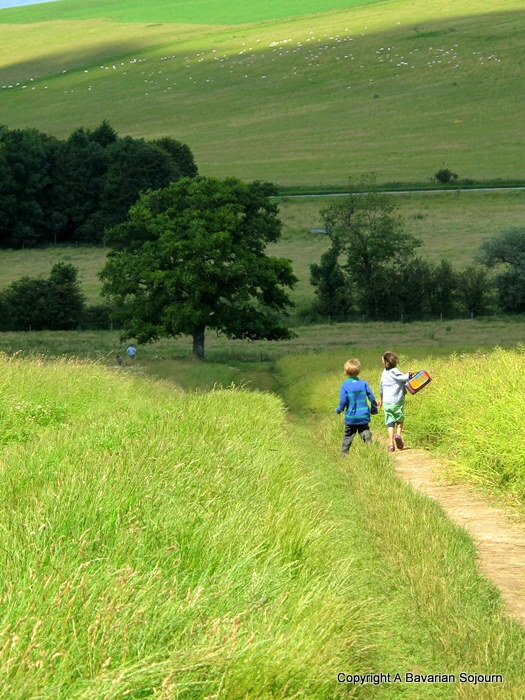 Before a picnic stop in the fields surrounding nearby West Kennet Long Barrow on the way home. I think the Small People’s Horrible History appetite was well and truly sated that day?! You can stick a note on the fairy trees to make a wish or tie a ribbon. The tree is loaded with notes and the victor reports that at midsummer and the winter solstice, there is a big pagan ceremony and the tree spirits read the notes. These photographs are stunning. Love this post so we’ve included this post in our little summer round-up. Fascinating stuff, Emma, particularly after our own trip to Sweden’s Stonehenge following your recommendation! 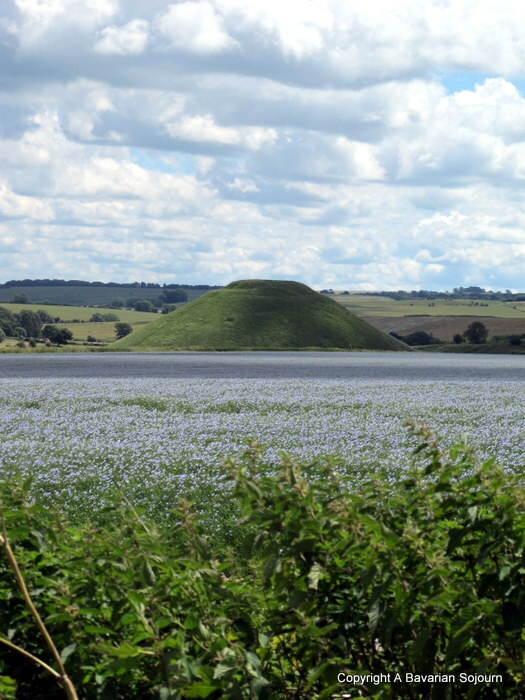 Did you know that William Stukeley, the chap who did the archaeological work at Stonehenge and Avebury, was born in Holbeach, the little town in Lincolnshire where I now live? The local primary school, built on the spot of the old Stukeley Hall, bears his name. Lovely photos. 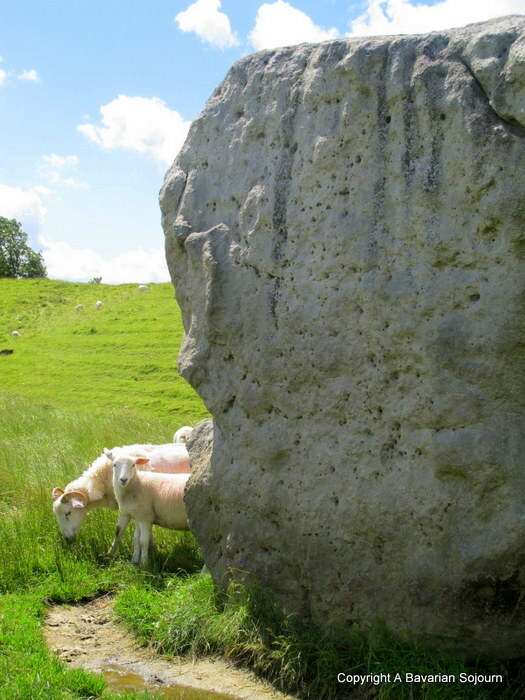 I’m a fan of Avebury too and have been a few times. Not yet tried Stonehenge to compare it, although I have driven past. I love the look of those trees – must remember next time I go. In fact, I’m quite tempted by the idea of a short break in the area to see all the ancient monuments. Perhaps we used to pass each other! I would have been dressed mostly in black and had varying hair colours! I am really pleased about you going back to visit, have a fab time. (I saw someone dowsing when we were there… It’s amazing)! 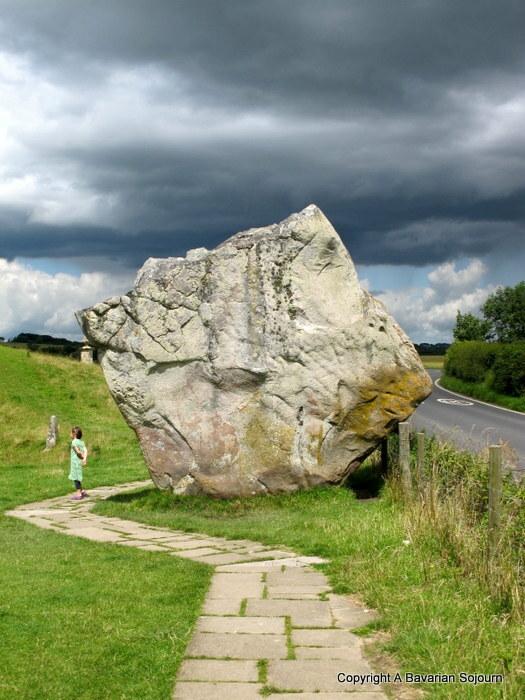 I remember going to Avebury once when I was little. Amazing photographs! Wow stunning, I had never even heard of Avebury before. Thise roots are a bit spooky looking though. This is so pretty!! The fairy trees are the best. I’ve never been to those parts of the UK yet. One of our favourite places too. Gareth loved it there, enjoyed many a Sunday afternoon with my boys there. It does look a bit magical and I love the colours too. Ahh dear, another morning fantastically lost to one of your blog posts! So much extra reading I have to do to find out more and more. I was thoroughly disappointed by Stone Henge. This sees much more me. What area would I look for a B&B or hotel to make a good weekend of it? Love the trees. 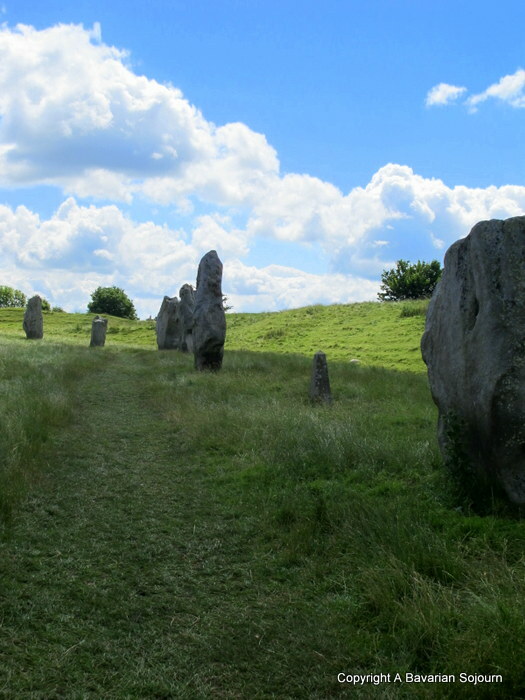 A Finnish friend on holiday recently recommended Avebury over Stonehenge – that’s two. Must try to get there looks fantastic love the trees. you’re in my part of the world! and yours :) oh, it’d be lovely to meet – so you must let me know if you’re around cambridge!